UALA LUMPUR (Nov 20): As the Malaysian economy put its foot on the gas pedal in the third quarter of the year, the strong growth has given the central bank more flexibility to adjust interest rates. If this indication represents Bank Negara Malaysia (BNM) starting a rate rise cycle, a key question is how high will they go? Most economists have pencilled in two rate hikes in 2018. UOB Malaysia senior vice-president of global economics and market research Julia Goh expects a 25 basis points (bps) overnight policy rate (OPR) hike next year, but said the odds of a second hike are high given Malaysia’s gross domestic product (GDP) growth coming in at 6.2% year-on-year (y-o-y) for the third quarter of 2017 (3Q17) last Friday. The economy grew 5.8% y-o-y in 2Q17. “We do not rule out the possibility of two rate hikes next year, provided growth prospects remain strong at least within the 5% to 5.5% range and demand-side inflation pressures creep higher,” she said in a note to clients last Friday. When contacted, Goh said measures announced during Budget 2018, such as personal income tax cuts, the 1Malaysia People’s Aid and payments for the civil servants and retirees could result in a potential increase in disposable income of RM15.5 billion, that could increase private consumption by 0.6%. “This provides continuous support for consumer spending even after one of the key stimulus measures announced last year expires, that is, when the Employees Provident Fund contribution rate normalises [back to 11% employee contribution from the optional 8% granted in recalibrated Budget 2016] at the start of next year,” she told The Edge Financial Daily. Oxford Economics lead Asia economist Sian Fenner opined that while a second rate hike by BNM is not absolute, the first rate rise is imminent. “We think that BNM is going to start normalising interest rates, following its recent monetary policy meeting where there was definitely a shift in its tone. This is broadly on the back of an optimistic outlook both in the domestic and external environment,” she told The Edge Financial Daily. Fenner sees the central bank raising its benchmark interest rate 25bps in 1Q18. “At the moment, we don’t think a second rate hike is off the table. We could see one later next year, but that would be more economic data determined — inflationary pressures coming through, a solid labour market, etc — that would definitely push for two rate hikes,” she said. “Our view is that BNM could take a more gradual approach to normalising the interest rate,” she added. Malaysians are already grappling with a high cost of living, evidenced by inflation numbers that came in at 4.3% in September from 3.7% in August, due to rising fuel prices. A rate rise will spell some better news for savers, but would lift the national debt service, which already stood among the highest in Asia in terms of household debt at 85.6 % of GDP as at the first half of 2017. 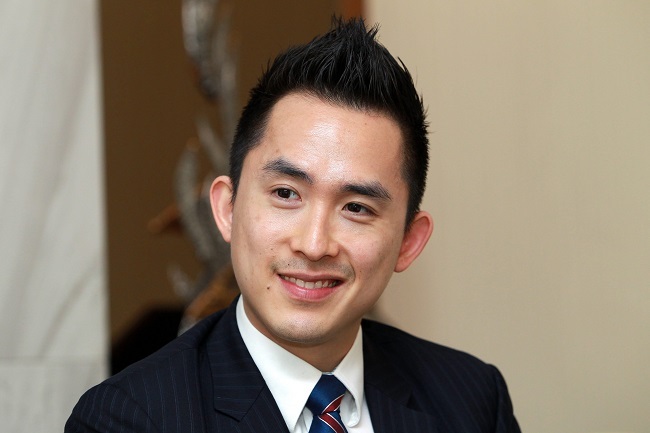 Affin Hwang Investment Bank chief economist Alan Tan, who expects the OPR to be increased by 25bps towards the middle of 2018, is of the view that a rate hike is unlikely to have a significant impact on consumer spending. “A 25bps hike in a way is a form of normalising the interest rate from a low level of 3%. We do not see that as having a significant impact on consumer spending. “[Likewise,] we believe a 25bps hike will not change business sentiment. BNM is examining the current degree of accommodation of [monetary policy] and that’s also why we believe that the central bank would not hike the OPR anytime soon as it would want to assess where the economy is heading in the first half of next year. The decision on rate hike would be very much [economic] data dependent, especially in the first half of 2018,” said Tan. “The market should not see this (the rate hike) as a form of significant tightening on monetary policy going forward as we feel BNM is still in favour of an accommodative monetary policy to support economic growth,” he added. Barclays plc senior regional economist Rahul Bajoria, who sees one rate hike from BNM in 1Q18 — an expectation the firm has had since 2017, concurred. “A 25bps rate hike will have limited impact on consumer spending. Household debt is an ongoing issue, but it has not risen as a percentage of GDP in recent years, which means it is contained,” he told The Edge Financial Daily. “[As for businesses,] I think [they] have seen decent profitability growth, and a small rate hike would not make a dent to their funding needs or debt servicing,” he added. Deutsche Bank Singapore managing director and head of Asia macro strategy Sameer Goel is looking at one rate hike from BNM next year, most likely after the general election. “The headline inflation is high and the [3Q17] GDP growth is strong. Narrowing slack in the real economy poses upside risks to core inflation, which has so far been benign. Hence, it would be appropriate for the central bank to begin tightening its monetary policy,” he said. MIDF Research chief economist Dr Kamaruddin Mohd Nor opined that all the ingredients for a rate hike next year are in place. “A broad-based uptick in global growth and favourable domestic macroeconomic conditions are the main reasons behind the anticipated move, if any. “The unwinding of the US Federal Reserve’s balance sheet is benign to the potential move. The recent rally in crude oil prices drove up headline inflation in recent months. Core inflation is expected to follow through with domestic demand starting to kick in, thus the hawkish tone by BNM,” he said. On the local bond market, Aberdeen Asset Management research analyst (macro) Lee Jin Yang estimated that at least one rate hike has been priced in within the market. “Should there be more hawkish rhetoric or strong economic data that increases expectations of a second hike, bond yield will increase accordingly,” he said. The next monetary policy committee meeting is scheduled to take place on Jan 25 next year. BNM has left interest rates unchanged since a surprise reduction by 25bps to 3% in July last year.